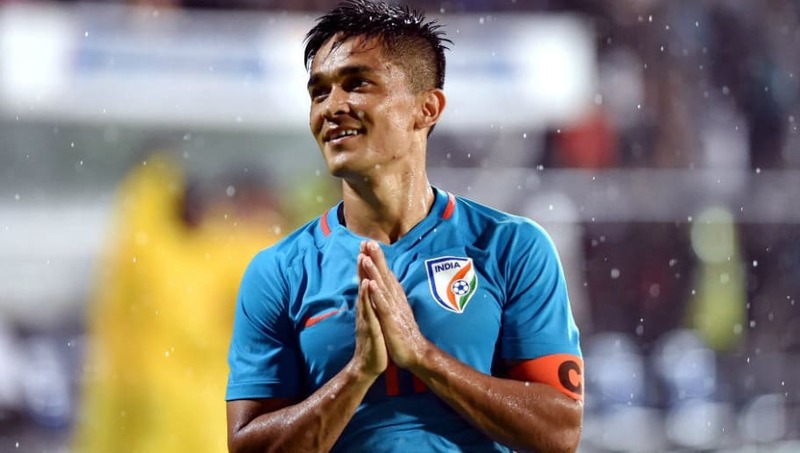 ​​Indian football team's legendary captain Sunil Chhetri has also dived into the debate that has divided the world of football into Cristiano Ronaldo and Lionel Messi fans. Usually, fans earmark Ronaldo's hard-work and determination as his secret to success whereas they call Messi a gift of nature to football and Sunil Chhetri believes it is a mixture of both. The Indian captain ​went live on his Instagram handle and ​TimesNowNews reveal that he was asked a question by one of his fans about his opinion on who is better between Ronaldo and Messi. He said, "Who is better? I think both Messi and Ronaldo are amazing but if you ask who is my favourite, it will be Messi for me. But if you need a role model, I would say Cristiano Ronaldo would be a better pick." He continued, "Messi is more like a God gift. Some of things he (Messi) does, it is so difficult to learn. He does them so effortlessly. With Cristiano, there’s so much of hard work and if you see his graph every year, there’s so much to learn." Specifying his point on Ronaldo, Chhetri stated, "For example, when he was younger, you would see him on the left doing those step-overs but now he takes less touches at the ball, he would pass the ball on the wing and then run into the box. And his running is so good, it’s so tough to mark him." He concluded by stating, "His header, his finishing from both left and right – it’s just brilliant. He takes less time on ball now but he is as good as ever and so devastating."